Don Barclay has sent a list of opisthobranchs he found in Tonga early in 2001. I asked him to send photos of those he was able to photograph because there are few records in the literature from Tonga. From our knowledge of shelled molluscs, biodiversity (the number of species present) drops as we move east across the Pacific, so knowing what species occur in Tonga, towards the eastern limits of the Indo-West Pacific faunal region, is of interest. 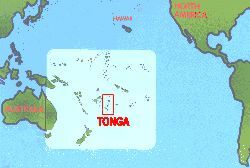 To get a complete list of species recorded in the Forum specifically from Tonga, use the SEARCH button and enter tonga in the search box. In that way you will get species, if any, added independently of Don Barclay's.